treated differently than fuel costs. New PSC commissioners can correct past mistakes, shifting the risk to MPC and Southern where it belongs. 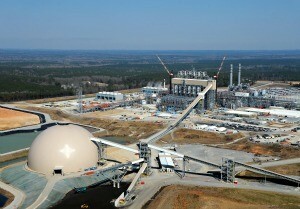 They should declare the Kemper mine and gasification investments imprudent. If new commissioners don’t have the stomach for that simple solution, they should declare syngas a fuel for power generation. Natural gas is already approved. Over time the lower cost natural gas or syngas would automatically be selected by existing regulations and policies. MPC defines lignite as fuel and the gasifier as utility even though syngas would be burned in the turbines to generate electricity. PSC should force the true fuel, syngas, to compete without subsidy. Fuel costs are treated differently than utility capital costs for determining customer rates. MPC and PSC defining lignite as fuel and the gasifier as utility means customers could be forced to automatically pay all gasification costs for decades whether it operates or not. Fuel cost, collected only as consumed includes capital, maintenance and operating costs to produce and deliver it. Designate syngas fuel and if MPC doesn’t burn it to generate power, customers don’t pay for it: not the capital, operating and maintenance costs for the mine and gasification. They’ll never burn syngas were it declared fuel. Regulations determine daily which turbines operate for system power. A great deal of turbine capacity is unused except at peak demand, in Mississippi that’s summer afternoons. Fuel cost is the major factor in selecting turbines to run each day. Costs for a utility investment are in a monthly rate which changes little for years or decades and are only loosely linked to how much the plant is operated (Note). Lignite costs about $1.50/million BTU while syngas fuel cost would be $25/million BTU in early years dropping only to about $15/million BTU after many years. Natural gas is currently about $2/million BTU. If the operational option at Kemper is between syngas as fuel or natural gas instead of lignite as fuel or natural gas, natural gas will be the choice. Viewed differently, existing regulations governing day to day decisions mean if treated as fuel the syngas facilities would never be called on unless MPC would price syngas competitively with natural gas. Resulting losses for Southern would be massive. The Kemper project was a bad political decision and the PSC should have abandoned it in 2009-2010. The new Public Service Commissioners should correct numerous past mistakes by declaring the mine and gasification units imprudent, forcing Southern Company to fully pay for them. Kemper turbines can continue generating power from natural gas as they have since August, 2014. Option two, declare syngas a fuel treated for regulatory purposes as other fuels, used only when priced competitively with alternatives. Either option leads to much lower rates for MPC retail customers. Note: A MPC retail customer’s monthly bill is the sum of several rates arrived at differently. -The Base Rate is calculated from the capital to build facilities designated a utility and capitalized maintenance for them. Once the capital is deemed prudent by PSC, it goes into the Base Rate which, with adjustments from time to time, generally are for the life of the plant. -Operating and non-capitalized maintenance costs are repaid at cost as they occur over operating life of the plant. -Fuel costs, normally the source of energy in the turbines, are also recovered at cost as fuel is actually consumed. -Special Riders or Rates are used to recover unusually costs. If the mine and gasification units are declared prudent, a Special Purpose Entity (SPE) bond for 1 billion will be issues which rate payers, not MPC, will be directly responsible for repaying with interest and costs for MPC and banks to manage collection and repayment. Once bonds are issued, the Special Rate is an obligation of retail customers until fully repaid with interest and other costs whether the mine and gasification units are used or not.